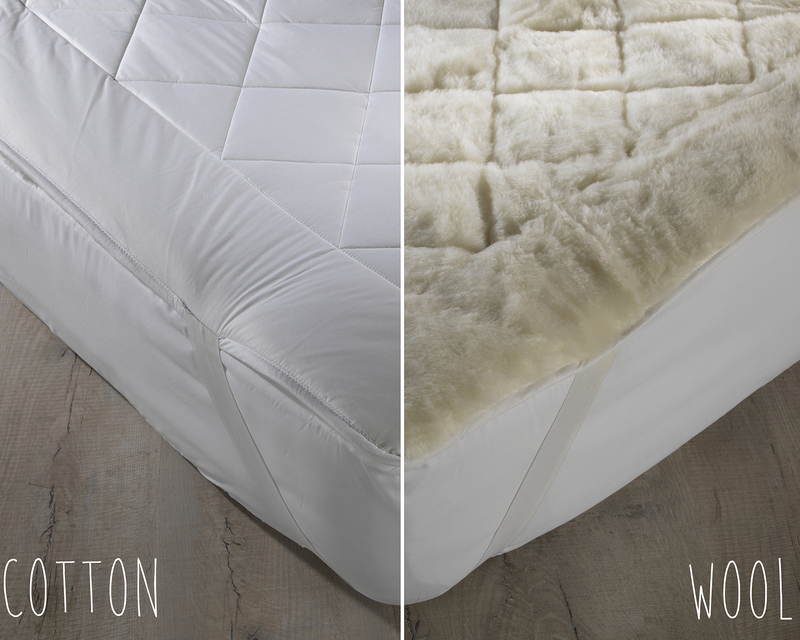 Featuring a diamond stitch and made from cosy Australian wool on one side, with cool, crisp cotton on the other, this reversible, wool-filled mattress topper features a cotton skirt to ensure a snug fit on your mattress. Perfect for all seasons, you'll enjoy a restful sleep and an added layer of comfort at bedtimes. Crafted from all-natural fibres, Australian wool is fully breathable so it allows you to keep cool in the warmer months and warm in the colder months. The cotton reverse adds an extra layer of breathability ensuring your mattress remains fresh. Whatever the season, this breathable natural mattress topper will adapt to suit your needs and offer a great sleep night after night.